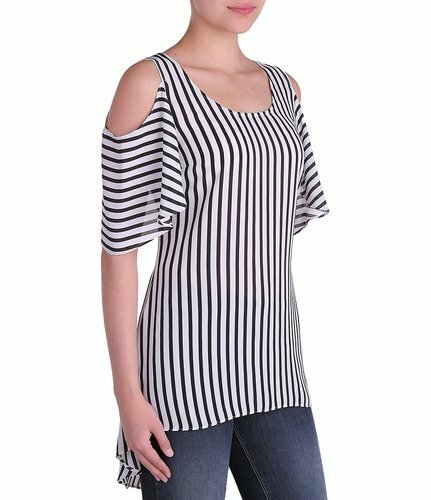 Providing you the best range of black and white casual tops, women top pink from indoshine industries, women tops, cold- shoulder top, girls top and designer tops with effective & timely delivery. 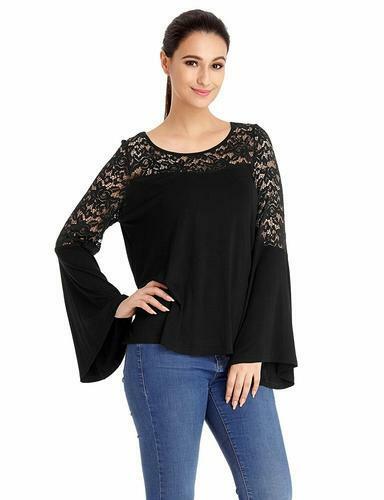 Black And White Casual Tops black and white casual top for spring summer collection from indo shine industries as exporter and manufacturer made in Georgette combination. This particular design can be made in high quality fabric, standard quality fabric, cotton satin etc. price always depends upon quality you prefer and quantity you are comfortable to buy and your business format. either we make high end quality or standard quality for Indian market. we are not into competition for people making low quality products. Quantity is not a bar, we have departments to cater to single PC orders, 10pcs orders or 1000pcs orders. services will be at par of your volume of business you offering us. 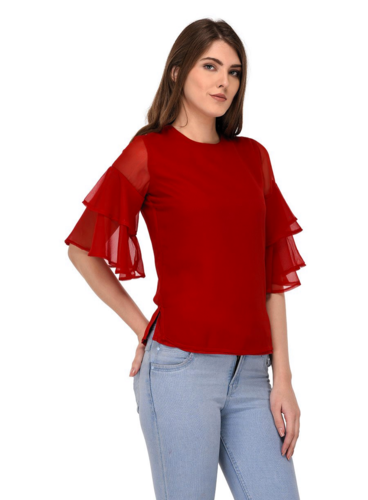 Women top for autumn winter collection from indoshine industries as exporter and manufacturer made in crepe and Georgette combination as well as cotton knitted fabric depending upon clients requirements. Sizes we make XXS to 4XL.Price always depends upon quality you prefer and quantity you are comfortable to buy and your business format. WE mean we have mentioned here price idea but you can order any quantity you like.Quantity is not a bar, we have departments to cater to single PC orders, 10pcs orders or 1000pcs orders. For more deatils whatsapp to 91-9818613456 . Sizes XS to XL, plus sizes XXL to 6XL will be higher price. 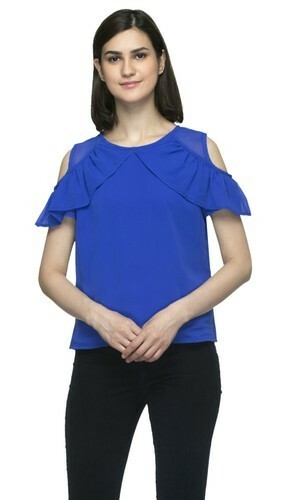 Price mentioned based on regular cotton knitted fabric . For high end quality and for export quality will be different n price will higher price USD 5.50 onwards based on MOQ 100pcs per design and colour. Small quantity order too we process but price will be according to qnty. quality. Please discuss with us if further details needed. XS to XL, XXL to 6XL also you can order but plus sizes will be higher. For export orders or upmarket brands fabric quality usually will be better one so price will be inr 415/- . Also you can order 1000pcs or 5000pcs or 10pcs even for which price will be accordingly negotiable. Made in knitted Jersey, price mentioned for 60 pcs order. If order quantity is small then price will be negotiated accordingly. And for 500 pcs and more orders with fresh made fabric prices will be accordingly negotiated too. 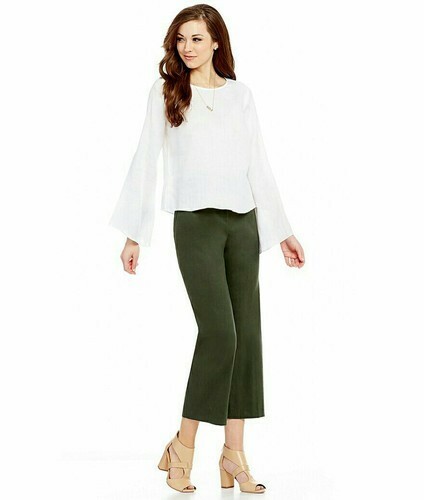 Fabric- Crepe XS to 5XL Single PC you can book order@ 485/-, 5 to 10pcs per colour with three four sizes you can orde@370, 25pcs and above price given for idea with MOQ 50pcs, Bigger sizes will have different prices and will be negotiable accordingly. For orders from outside India do discuss with us for quality and other details. We cater to small brands as well as bigger brands as manufacturers so price will be always negotiable accordingly per quality preference and quantity. You can process the payment here too as we shall generate the payment link. Price mentioned based on MOQ mentioned. But you can order any quantity small or big even single pc, price will be according to the quantity. This is made in pure cotton. Sizes will be per clients preference. Plus sizes will attract higher price. Made in crepe printed those are our designs made for some of our clients. Sizes XXS to 6XL we make. The same crepe available for USD 1per mtr n USD 2 for mtr n above, So price will vary depending upon volume of orders, quality n size ratio. For more details connect to our whatsapp +91-9818613456 or +91-9871916698. Made in crepe printed, Sizes XXS to 6XL we make. The same crepe available for USD 1per mtr n USD 2 for mtr n above, So price will vary depending upon volume of orders, quality n size ratio. 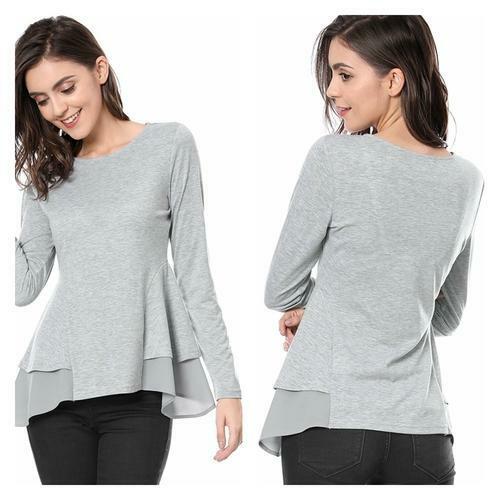 We are offering Cotton Knitted Tops to our clients. Price mentioned as MOQ mentioned.but any quantity a customer can order, lesser quantity will attract higher prices. Sizes we make XXS to 6XL. Price mentioned as regular used in market quality knits, if better quality fabric needed then price will be negotiated accordingly. 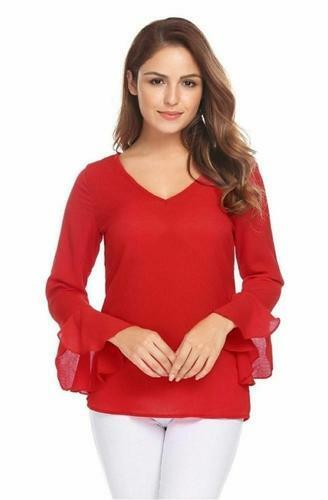 Such knitted tops are either to be made from Market available fabric to fabric needs to be made specifically so fabric MOQ is 800 pcs per color. 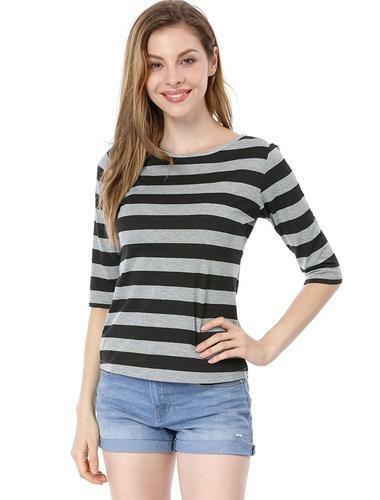 We are offering Girls Tops in Cotton Check to our clients. Price mentioned as MOQ mentioned. But any quantity a customer can order, lesser quantity will attract higher prices. Sizes we make XXS to 6XL.Price mentioned as regular quality cotton check, if better quality fabric needed then price will be negotiated accordingly. Price mentioned based on MOQ mentioned. But you can order any quantity small or big even single pc, price will be according to the quantity. This is made in knits grey melange.Sizes will be per clients preference. 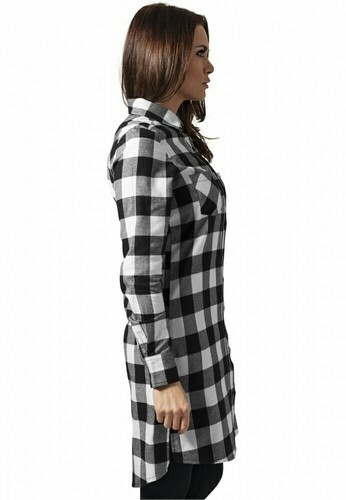 Plus sizes will attract higher price. Made in sequence embroidered fabric with lining in sizes XS to XL. You can place small quantity orders and bigger orders too. Also plus sizes till 6XL you can order. Discuss with us or visit our facility. Made in cotton embroidered fabric. For such fabrics MOQ's are higher. Such fabrics will be made on order else we can take market available embroidery patterns in case of small orders. Any size you can order. Fabric- Crepe/Georgette suitable for a good quality XS to 5XL Single PC you can book order@ 345/-, 5 to 10pcs per colour with three four sizes you can order@295, 25pcs and above price given for idea with MOQ 100pcs, Bigger sizes will have different prices and will be negotiable accordingly. For orders from outside India do discuss with us for quality and other details. We cater to small brands as well as bigger brands as manufacturers so price will be always negotiable accordingly per quality preference and quantity. You can process the payment here too as we shall generate the payment link. Price might change to changes in economy impacting the trade or any price increase in fabric. Made in Georgette you can order single PC also.price mentioned 200pcs per colour MOQ and price will be negotiable depending upon order volume. Price mentioned based on MOQ mentioned. But you can order any quantity small or big even single pc, price will be according to the quantity. 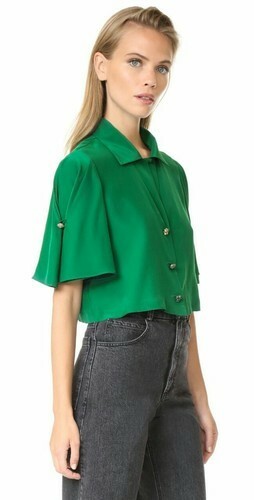 This is made in butter crepe with satin the. Sizes will be per clients preference. Plus sizes will attract higher price. Made in pure cotton price mentioned based on the MOQ mentioned. You can order small quantity also but price will be negotiated depending upon the order quantity whether it is one PC order or 1000pcs order. Sixes you can order XS-6XL. Plus sizes will high price. 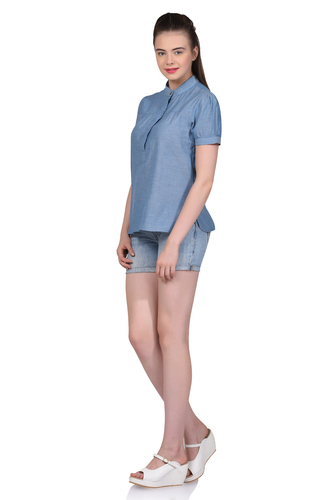 Casual light blue tops for spring summer collection from indoshine industries as exporter and manufacturer made in chambray. 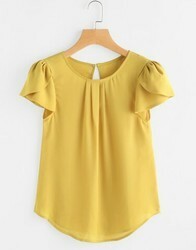 This particular design can be made in crepe high quality, crepe standard quality, cotton satin etc. price always depends upon quality you prefer and quantity you are comfortable to buy and your business format. either we make high end quality or standard quality for Indian market. we are not into competition for people making low quality products. Quantity is not a bar, we have departments to cater to single pc orders, 10 pcs orders or 1000 pcs orders. services will be at par of your volume of business you offering us. You can small quantity also but smaller quantities will attract higher prices. This is for price idea and a particular quantity. Sizes XS to XL. Bigger sizes like 3XL and 4XL you can order, for price and details please call us or visit us to check the quality of garment. Small quantity for beginners also we do. Please call us or mail us for further details. Price mentioned for chiffon or Georgette printed XS to XL, plus sizes can be made and small quantity also you can order. Fabric quality you may select good also because sane Georgette can be higher quality. Made in crepe. Price will be negotiated according to your order volume n quality preferences. Made in cotton check, Also there are different parameters to negotiate price. If the order quantity per colour will be 500pcs and above then price will be accordingly negotiable and if someone interested for 10pcs per colour and mix sizes so price will be negotiable accordingly for resellers. 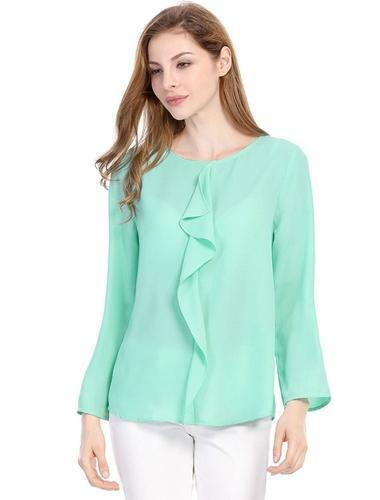 Customers looking for single PC for end use can order also XS to XXL@ 460/- plus tax and 3XL to 5XL@665/- plus tax. Free delivery within India. For other countries price will be different due to the delivery charges. As there are both the tops image shared for design idea. 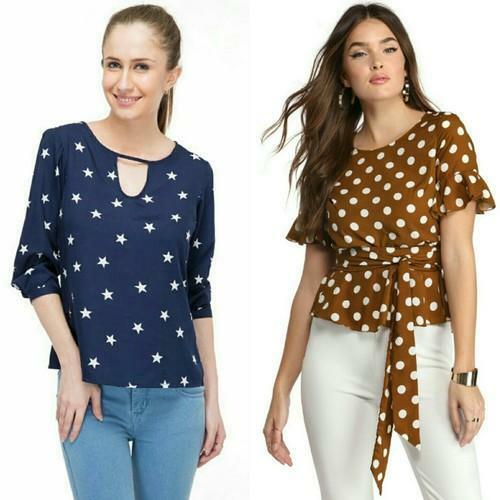 The cotton check top is higher price than the polka dot tops. So order quantity you can place per your requirements but do discuss with us prices per your order quantity. Made in crepe and Net if you want to place less quantity order also you can but price will be accordingly negotiable per order volume. Price mentioned per MOQ 100pcs per colour and 200pcs per design. But MOQ mentioned you can order any small quantity considering price will be higher. Very much the price depends upon the order volume. Made in standard crepe. You can order small quantity or single PC even. Price will be accordingly. If high quality fabric needed price will be negotiated accordingly. Plus sizes 3XL to 6XL will have higher price. Made in cotton knitted Melange fabric , please connect to our WhatsApp +91-9818613456, +91-9871916698 for your single pc order, Small quantity order, bulk order. Price will be as per Order Volume and Quality. Price mentioned as MOQ mentioned.but any quantity a customer can order, lesser quantity will attract higher prices. Sizes we make XXS to 6XL.Price mentioned as regular quality Georgette n crepe, if better quality fabric needed then price will be negotiated accordingly. This tops for spring summer collection from indoshine industries as exporter and manufacturer made in crepe and Georgette combination. 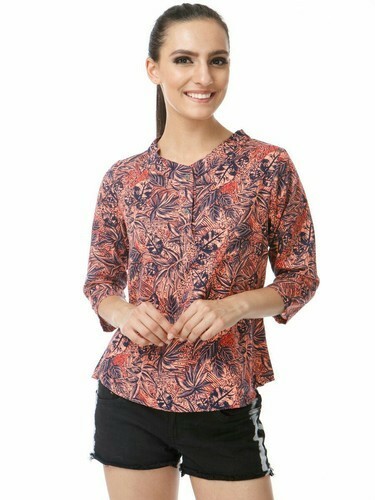 This particular design can be made in crepe high quality, crepe standard quality, cotton satin etc. price always depends upon quality you prefer and quantity you are comfortable to buy and your business format. either we make high end quality or standard quality for Indian market. we are not into competition for people making low quality products. Quantity is not a bar, we have departments to cater to single pc orders, 10pcs orders or 1000 pcs orders. services will be at par of your volume of business you offering us. Made in smooth crepe price mentioned per MOQ per colour. But quantity you can order 1pcs to 10000pcs. Prices will be as per order volume and if fabric quality client needs premium then price will will be per fabric quality selected by client. 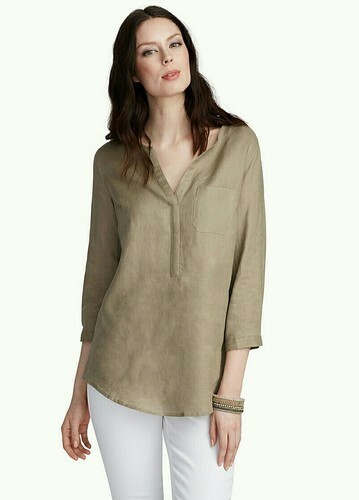 Same style can be made in cotton also.